One of only four Irish golf clubs with a “Royal” prefix, this Parkland course holds the distinction of being the oldest golf club in Ireland. Royal Belfast provides a stern golfing challenge and offers one of the most beautiful settings of any Irish golf course, with its unrivalled views of Belfast Lough and the Antrim plateau beyond. This course is considered one of the finest parkland courses in Ireland. Founded in 1895 and located only five miles from Belfast City, Malone stands in an attractive wooded parkland estate of some 270 acres, the centerpiece of which is a magnificent 27-acre natural lake. Characterized by flowering shrubs, tree-lined fairways and a large lake, dominating the back-nine holes, rest assured that Malone offers a superb challenge where, incidentally, Tony Jacklin won his first professional tournament here in 1966 on the 6,599 yards championship course. 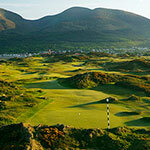 Royal County Down is truly one of the world’s finest links golf courses. It was designed by the legendary ‘Old Tom Morris’ in 1889. 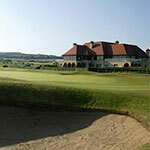 This magnificent links course is renowned for both its beauty and arguably its challenging layout. The stats of 7,000 yards over a Par 71 can lend to that argument. Unlike many of the great natural links courses, Royal County Down doesn’t have the traditional out and back layout; rather there are two distinct loops of nine holes. The outward half is closer to the sea, more sandy in nature and offers consistently larger dunes than on the homeward loop. Known as the County Club when first formed in May 1888, it became the Royal County Club in 1892 and finally, Royal Portrush Golf Club in 1895, with the Prince of Wales as patron. Today, Royal Portrush offers two fine links courses and while the Dunluce Course will always be regarded as the championship links, the slightly shorter Valley Course also represents a serious test of links golf prowess. Founded in April 1901, the formal opening of the new eighteen holes took place in July 1909. 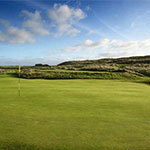 Comprising a mixture of inland and links holes, a round at Castlerock will test every department of your game. 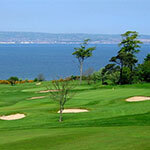 Situated on the Causeway Coast, this 6,713 yard course is a wonderful challenge. While the jewel in the Portstewart crown is undoubtedly the Strand Course, visitors may also choose from the Par-64 Old Course and the nine-hole Riverside Course. 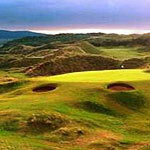 As with many Irish links courses, Portstewart boasts a long history. While the origins of golf in the area date from 1889, the club was not founded until 1894. Such was the interest in the game; the club was forced to move from their original nine-hole layout to a larger site at the opposite end of the town.